TC Pro Hunter 28" Stainless Fluted barrel fits Thompson Center Arms Encore, Pro Hunter, and Endeavor frames. 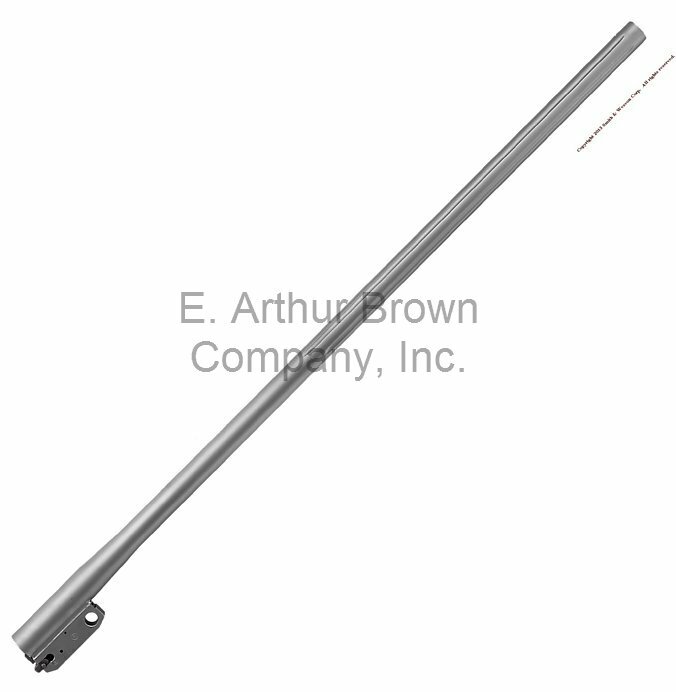 This is a 28" stainless fluted heavy contour (~.810" at muzzle) rifle barrel with no sights 1:8 Twist. It's drilled and tapped for the standard TC 4 hole scope base. Use a Pro Hunter rifle forend or an Encore 26" heavy contour forend. My second barrel with bases and rings. Nothing but good things to say about Eabcos service and products. I’ll be purchasing more items soon. I received my 6.5 creedmore barrel with base and rings. Prompt shipping ! All looks great ! I need to buy a scope for it yet so I cannot comment on performance. Very fast free shipping on exactly what I ordered! Looking forward to shooting this coming Spring! LIKE ALL MY TC BARRELS, THIS IS 6.5 IS SUPREMELY ACCURATE. I HAVE THE SAME BASES AND QUICK DETACH RINGS ON ALL. I WAS HAPPY WITH THEIR BASE INSTALL. Shoots better I can with the trigger on the frame. Just sent back the frame for a trigger job. The person who help place the order and confirm the frame arrived deserves a raise. Received barrel promply, EABCO is a great company to deal with I highly recommend them! Barrel shoots about 1 inch 3 shot groups at 200 yards. Great looking barrel, still testing loads, shooting about 3/4 inch. As usual, excellent quality from T/C. Very happy with this purchase.